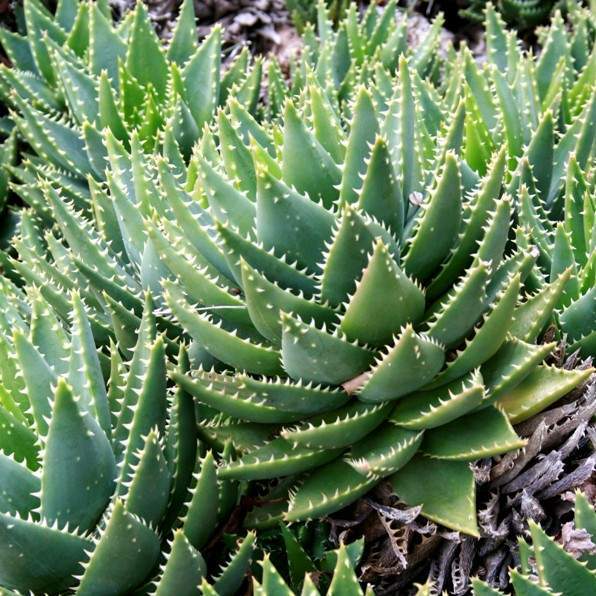 Short-leaved aloe. 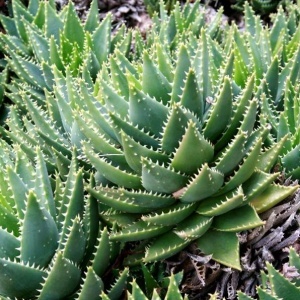 A miniature blue-green aloe from South Africa . Sunny position gritty compost and height up to 10cm. Tubular red flowers in long racemes. Protect from frost and let dry between waterings.